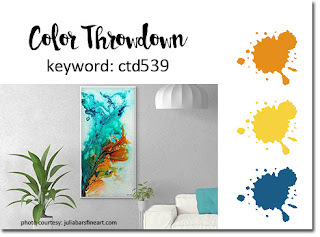 I'm thrilled to be a guest over at The Color Throwndown blog today! The colors are bold and bright...yellow, orange and blue, perfect for those of you that are ready for summer temps and colors! 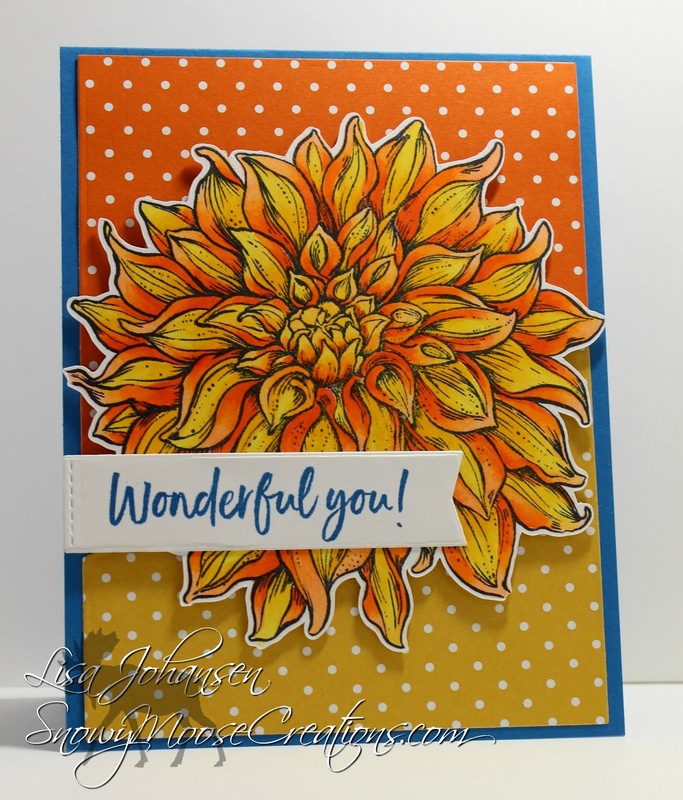 For my card I used the Dahlia XL stamp from Power Poppy and colored it with orange and yellow copics, I just love that combo for this flower! 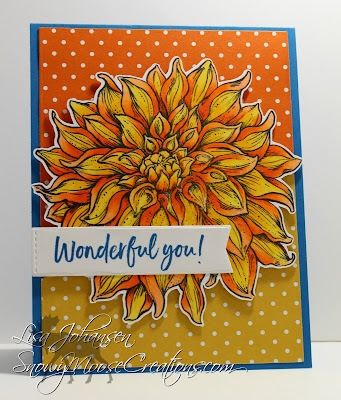 I then die cut some yellow and orange patterned paper to help highlight the colors of the dahlia. To incorporate the blue I used blue card stock for my base and then stamped the sentiment in blue, and popped that up over the flower. 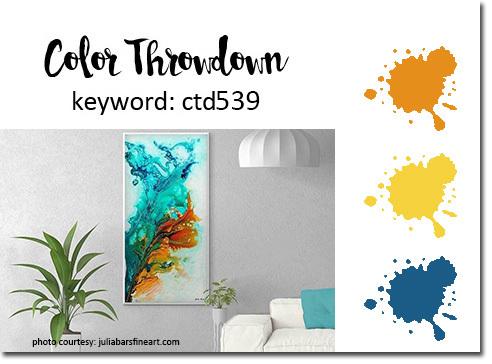 Make sure to head over to The Color Throwdown blog to see all the fabulous creations and then give the colors a whirl, I'd love to see what you come up with!